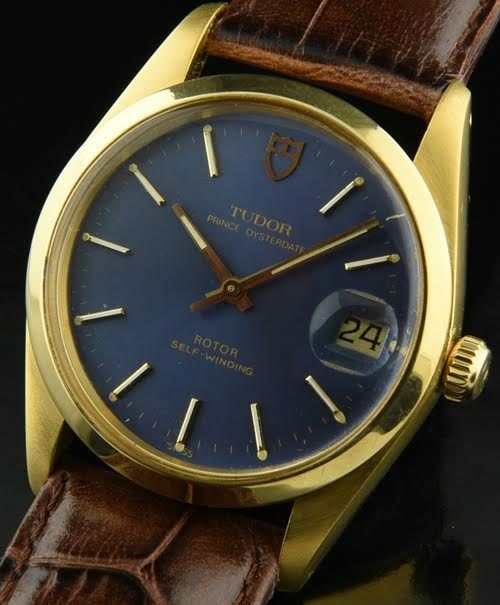 This 1970’s vintage TUDOR gold plated with steel ROLEX back displays excellent condition overall. The 34mm. gold plated case does not have any wear in the gold-lovely! 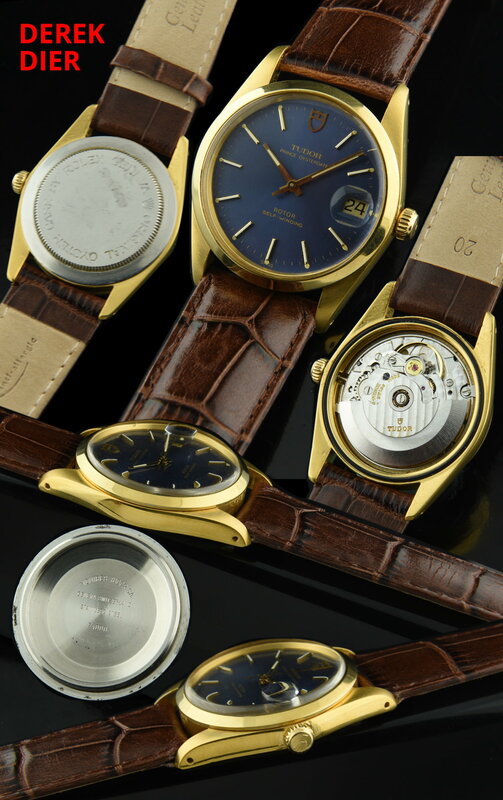 The original blue dial with gold gilt print looks excellent. The Rolex Oyster winding crown is present. The automatic winding TUDOR movement was just cleaned and is accurate. It is uncommon to find an interesting, original blue dial such as this.